December 13, 2014 / Rachel C.
Huh. Late again. I don’t even have a good reason this time. I just sorta…feel asleep after I ate supper. That sentence makes me feel like the laziest person in the world, but there ya go. 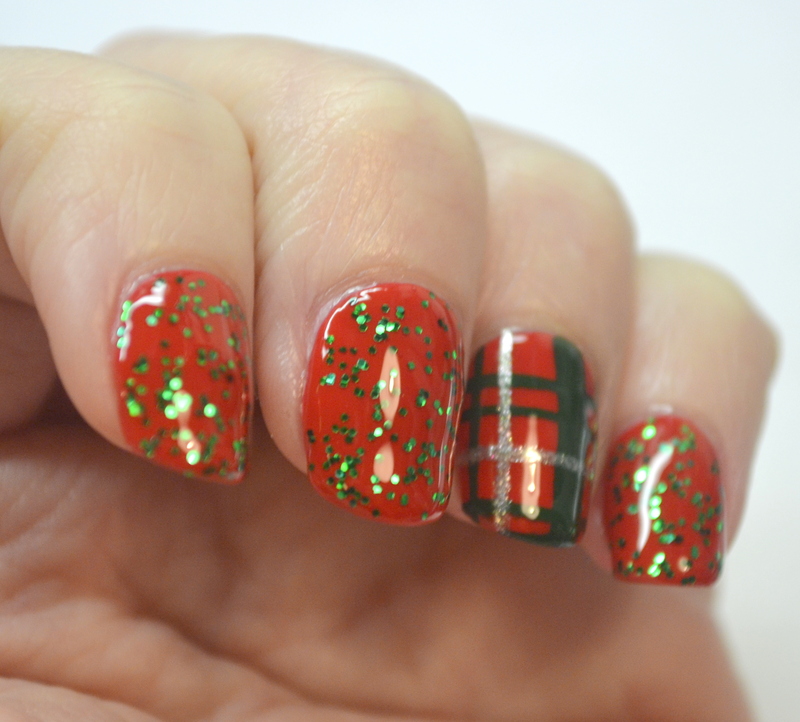 Anyway, today is Day 7 of the Challenge Your Nail Art 12 Days of Christmas challenge, and that means the classic combo of red and green! I was originally going to do some wreaths, but then realized it might be a good idea to keep those in reserve for tomorrow. 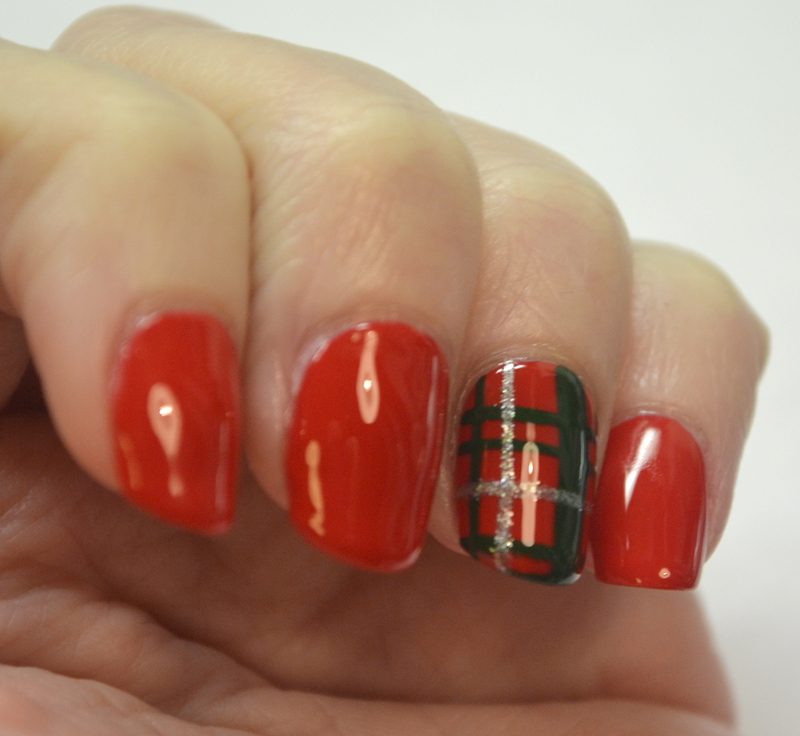 So instead, I kept things relatively simple and did a plaid accent nail. My colors were Kleancolor Red, Kleancolor Silver Spark, and my unnamed green. I really liked how this turned out! Some of my lines were a bit thick, but you don’t really notice unless you’re really staring at it. My green does look a bit dark though, and I worried that there was just too much red and not enough green. 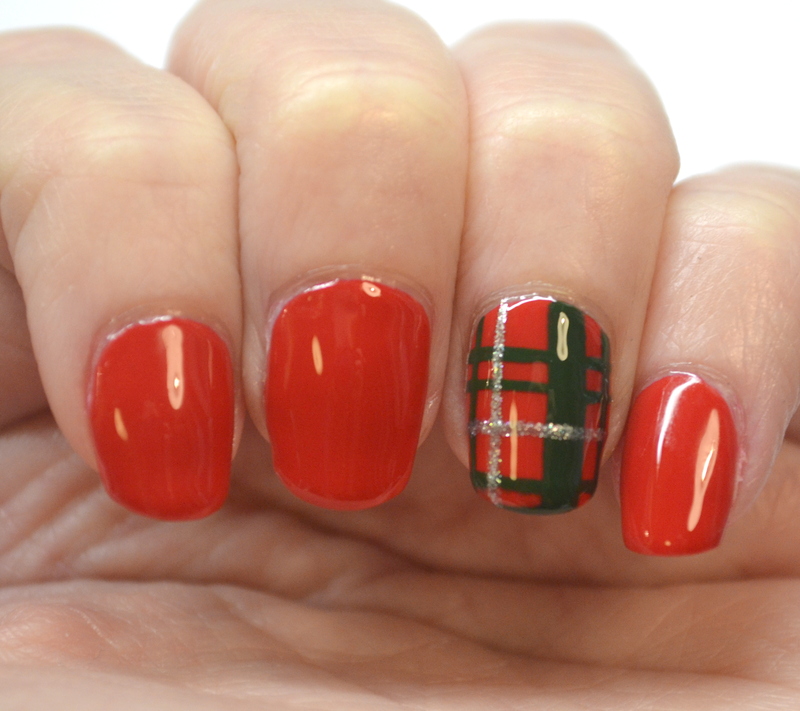 So I also added Kleancolor Holiday Jingle on top of my red nails. So what do you think? Glitter or no glitter? I think I still prefer it without, but it does look nice with it too. 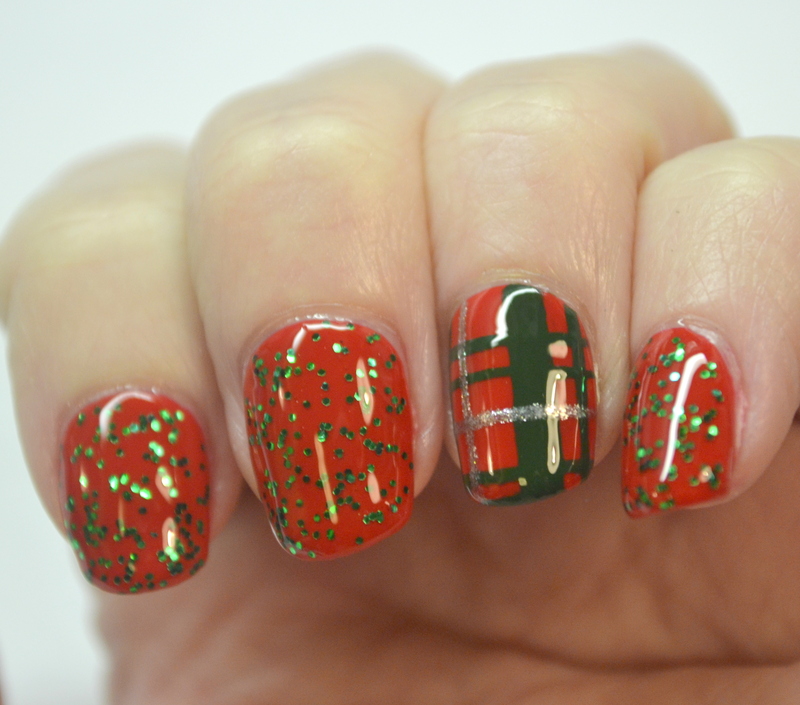 I love the addition of the glitter, but your plaid is perfect! 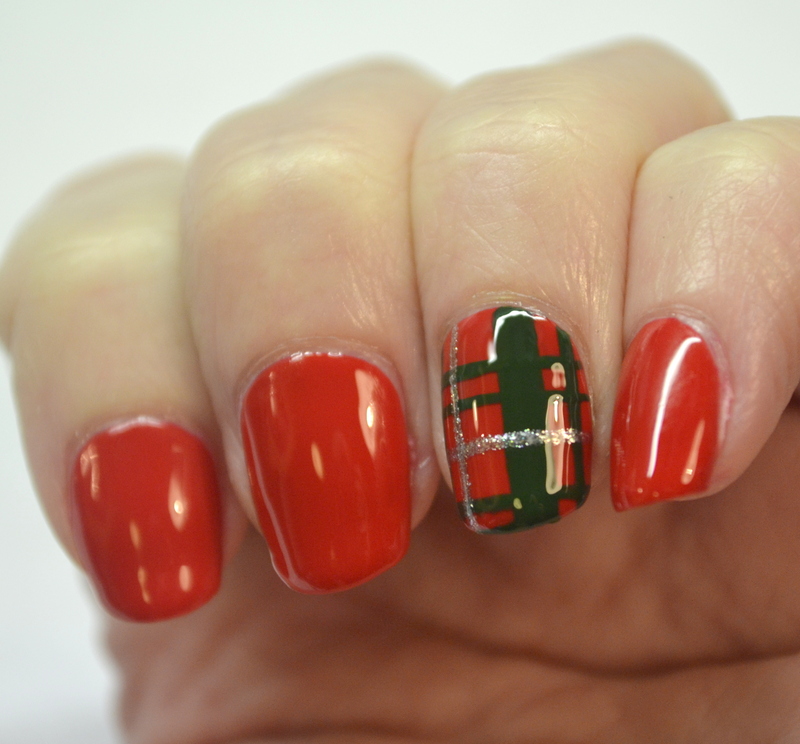 Your plaid is amazing! Think I like the before, but both are spectacular!